San Francisco-based cab aggregator Uber has slashed the tariff of its low-cost offering UberGO in Delhi-NCR region, indulging in yet another act of tariff war with its home-grown rival Ola, in a move that will intensify competition further. The new tariff matches Ola's fare under its low-cost offering Micro even as the battle for capturing the urban commutation space in the country intensifies between the two aggregators. "Starting today, we are bringing down prices of UberGO to â‚¹6/km in Delhi NCR. 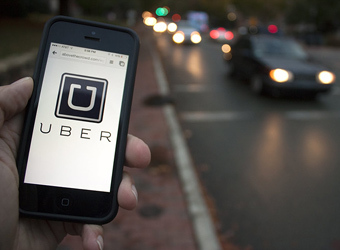 You can now get the same comfort and reliability at a more affordable price," Uber said in a post on its website. The new tariff comes two months after Uber cut fares by up to 22% in 10 non-metro cities. With a base fare of Rs 40 and Rs 6 per km with a per minute ride time of Rs 1, a ride in both UberGo and Ola micro will now cost the same in Delhi-NCR region. Email queries sent to Uber regarding extending the tariff reduction to other cities and non-metros and its timeline did not elicit a response till the time of filing this report. Comparing the tariff in major metros that include New Delhi, Mumbai, Bangalore, Pune, Chennai, Hyderabad and Kolkata, UberGO charges Rs 6-8 per km with a base fare of 25-45 and a per minute ride time (Rs 1). Hyderabad has the lowest base fare (Rs 25) while Mumbai has the highest (Rs 45). Likewise, the per km charge of Rs 6 is already in place at Chennai and Pune, while it is the highest in Mumbai at Rs 8 per km with Bangalore, Hyderabad and Kolkata at Rs 7 per km. However, Ola Micro charges Rs 6 per km across all the seven aforementioned cities at a base fare the range of Rs 35-45, with Hyderabad and Kolkata at the lowest range (Rs 35) and Mumbai at the highest range (Rs 45). Ola launched its micro service from February as a pilot initiative in Mumbai and expanded the service in a phased manner across other cities. Uber is battling competition from Ola to capture a dominant market share in the fast-growing urban transport space as commuters increasingly look for more affordable options for their daily commute. Ola recently introduced luxury cars as part of its service offerings in Mumbai. It has now expanded its service to Delhi-NCR. In April, Ola added electric rickshaws or e-rickshaws on its mobile app with Prime Minister Narendra Modi taking the first ride in Noida.